The beautifully situated, eclectic, and gay-friendly city of Seattle is one of the major LGBT nightlife centers on the West Coast. There are about two dozen gay bars and gay men's bathhouses in the city, most of them clustered in the long-time gay neighborhood of Capitol Hill, as well as a number of mixed restaurants and coffeehouses that draw a good share of LGBT folks. 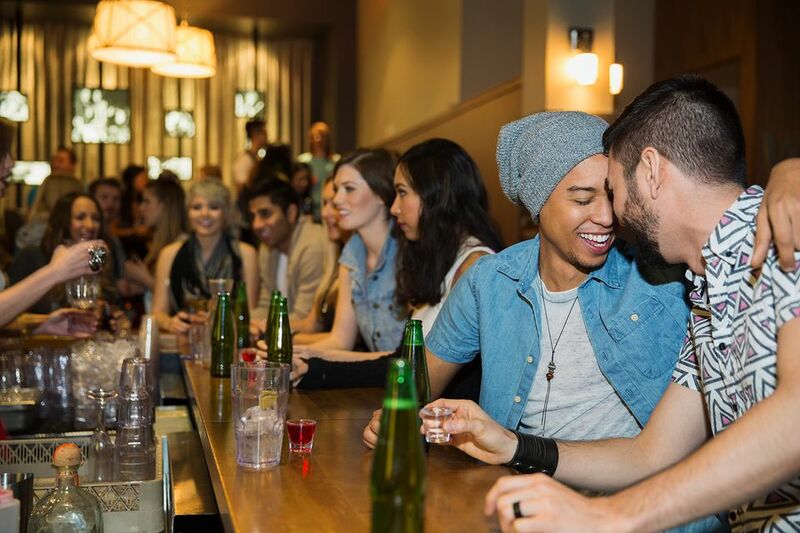 Take a look at some of the favorite hangouts among lesbians and gay men in Seattle. If you're checking out other parts of Washington State, there are quite a few gay-friendly establishments in Tacoma, Olympia, and Bellingham, too. A friendly, no-attitude neighborhood gay bar with a particularly loyal following among bears and cubs, C.C. Attle's opened in 1993 and has been a fixture of Capitol Hill's gay cruise seen ever since. Although it moved to a new, nattier location in 2011, it remains as popular as ever. "Good food, great drinks and never a cover," is the motto of this bar that features a monthly fetish night. If you come in gear, you skip the line. Big attractions are the pool tables, stiff drinks and a nice place for relaxing, mingling and meeting new people. OutWest is a friendly neighborhood gay bar and the only such establishment in West Seattle. OutWest does not draw a ton of tourists, but it is a real hit with the many LGBT locals in this part of town. The crowd is mixed with Wednesdays as the lesbian karaoke night, and as you might guess, it is a big draw for the ladies. The Cuff is the home bar for many of Seattle’s leather, bear, bike and fetish groups such as Seattle Men in Leather, Border Riders MC, Northwest Bears, and local sports teams. Every day there is a happy hour and a shot special. The club features a large main bar with billiards and dart areas, a dance bar adjacent to the large dance floor with music from local, national and international DJs, and an outdoor patio bar for sports aficionados. Pridefully boasting “no DJs, no cover, no problem,” Madison Pub is a gay bar for the sporting type. Madison Pub is a remarkably popular little watering hole since it opened in 1986. It is rumored to be the friendliest and least stressful gay bar on all of Capitol Hill. Guaranteed you will find beer, darts, baseball caps if you check it out. You will most likely find a player or two from one of the several gay sports teams the bar sponsors throughout the year. A tribute to the great West Village and Castro bars of the 1970s, Pony occupies a 1930s-vintage gas station building. There are energizing DJs spinning thumping dance music every night of the week inside. Or, you can also hang out outside year-round on the bar’s patio with a gas fire pit and a retractable roof to shield you from the elements. The bar continuously features themed events, including weekly and monthly parties, and daily happy hour specials. Seattle’s oldest bar for gay women; the bar is ​woman-owned and operated since 1984. Most categorize Wildrose as a lesbian bar, but its motto is “A place for women…and all are welcome.” The weekends are when the DJ is spinning, beer pong tournaments happen or you can sing along with karaoke participants.